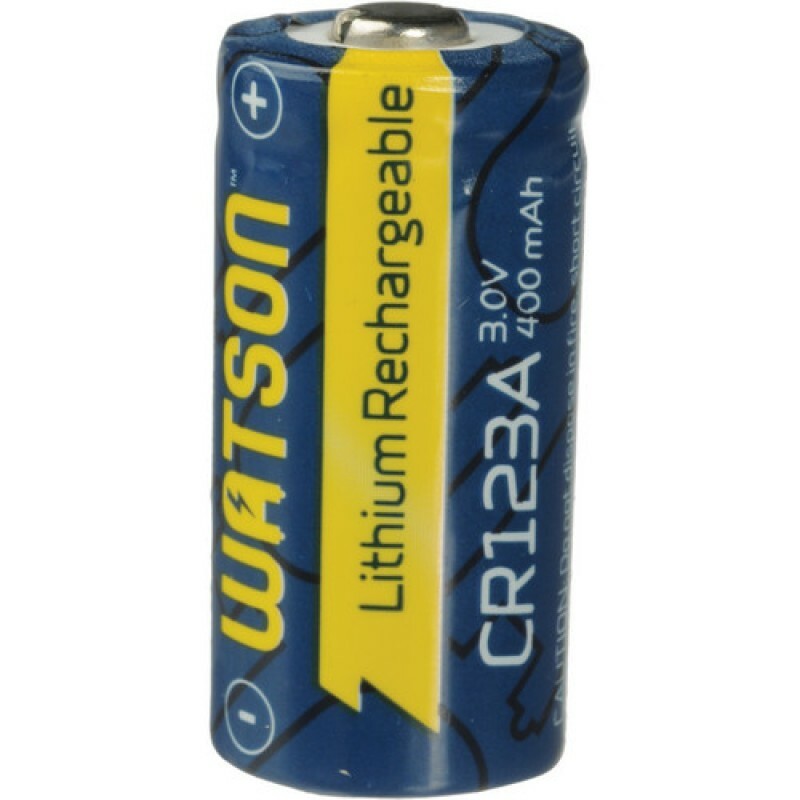 The Watson CR123A Rechargeable Lithium Battery (3V, 400mAh) is a rechargeable version of the disposable CR123A and is free of memory effects. It has excellent high-drain performance and can be charged up to 1000 times. The battery can be used to power digital cameras, toys, games, flashlights and portable devices. Charge 1 or 2 of these batteries using the Watson CR123A Rapid Charger (not included).